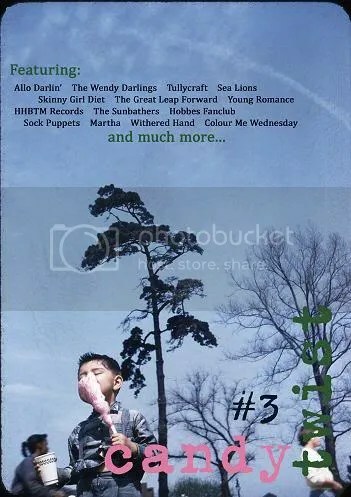 The new issue of indiepop fanzine Candy Twist is out and we’re chuffed to say it includes a mini interview with us. Our copies haven’t arrived yet but we were asked about our first records, concerts plus the first bands that caught our eye, so the interview should include some of that vital information. You can probably guess that our answers were pretty uncool! The magazine is 108 pages long and it looks like a cracking issue, with lots of good stuff including interviews with Allo Darlin’ and MJ Hibbett, an Indietracks journal by Colour Me Wednesday and a nice bit of Sheffield courtesy of a mini interview with Nat Johnson and our friend Pete Green contributing to a round table piece. You can order a copy for just €0,75 plus shipping from candytwistfanzine.blogspot.nl. Meanwhile, we all seem to have chosen different weeks to go on holiday over the summer so we’re still trying to squeeze in band practices where we can. Last weekend we were pleased to finally have our first get together in what seems like aaages. Hopefully we’ll be back up to speed soon!